A few years ago, our neighbors introduced us to their Easter egg hunt tradition. They make Cascarones, and now we make them too. 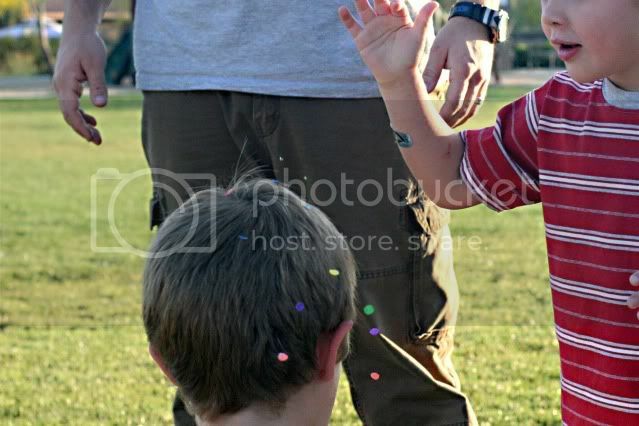 When you find an egg, you get to crack it over someome's head, showering them with confetti! 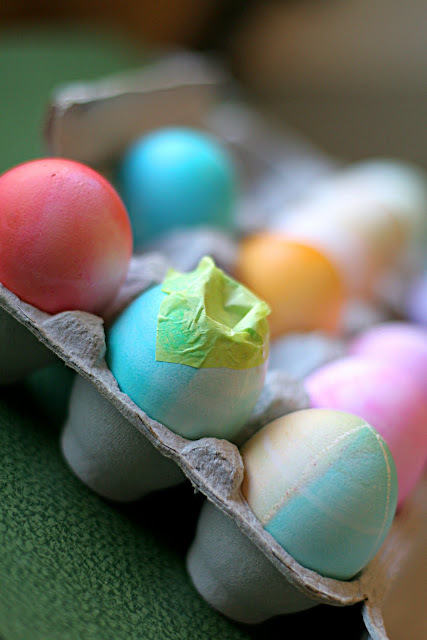 Dye your eggs like you normally would & let them dry. 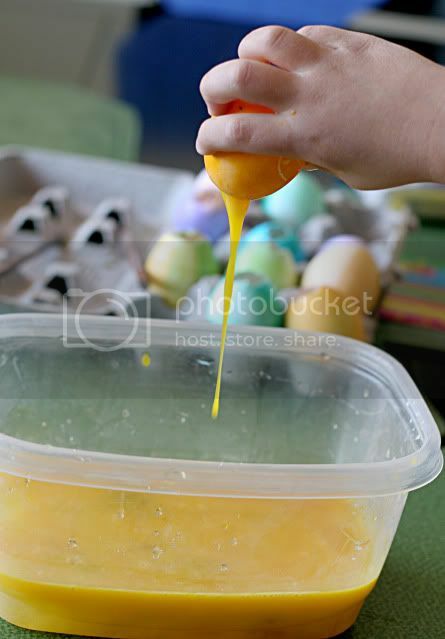 carefully open a hole in the bottom of each one to let the egg drain out. You can even just crack a hole, but I kept overdoing it. and make it easier to drain. 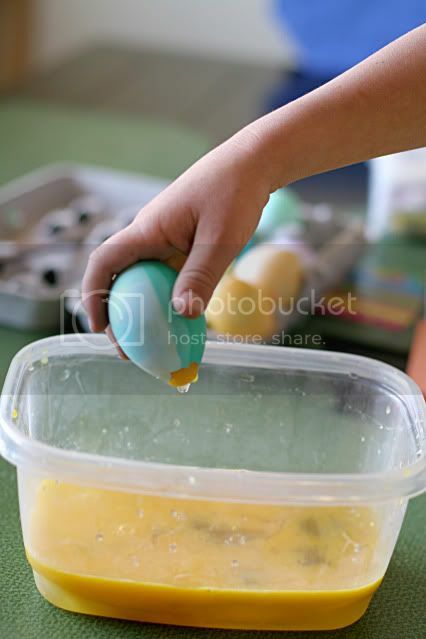 Rinse the eggs with water and let them dry completely, maybe overnight. Fill each hole with confetti of your choice and maybe a little glitter. You can make your own confetti with paper & a hole punch too. Then, glue a piece of tissue paper over the hole to hold it all in. 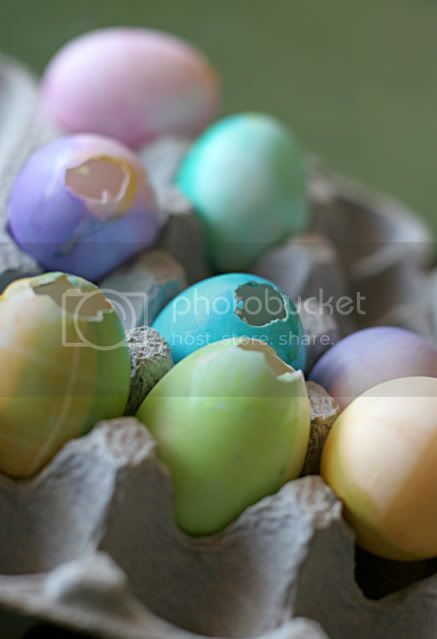 Hide the eggs like you normally would for any Easter egg hunt. When you find an egg, crack it over someome's head & shower them with confetti! dyed & filled with confetti., ready to go. Cool project....I'll let you know if we try this one! Marlon is all for it! Love it love it love it! 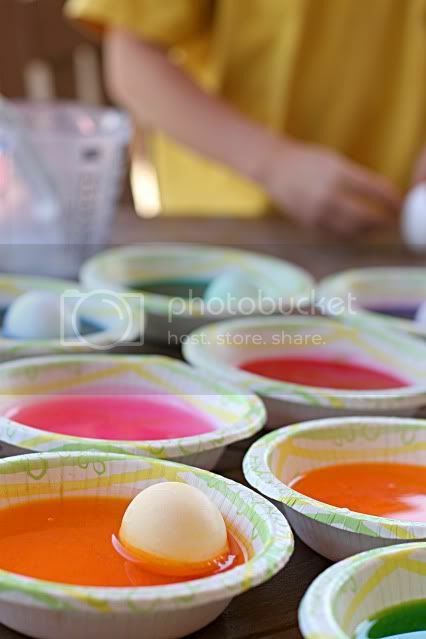 I am totally doing this, especially because Collin can't eat pretty much all the candy you put in those plastic eggs. 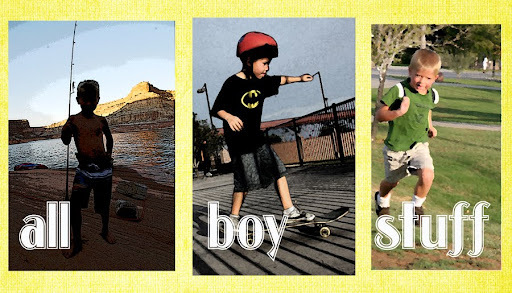 This is an eggcellent, very boy-friendly substitute!